In recent years Sedley Place has worked on a number of projects in the wedding world. 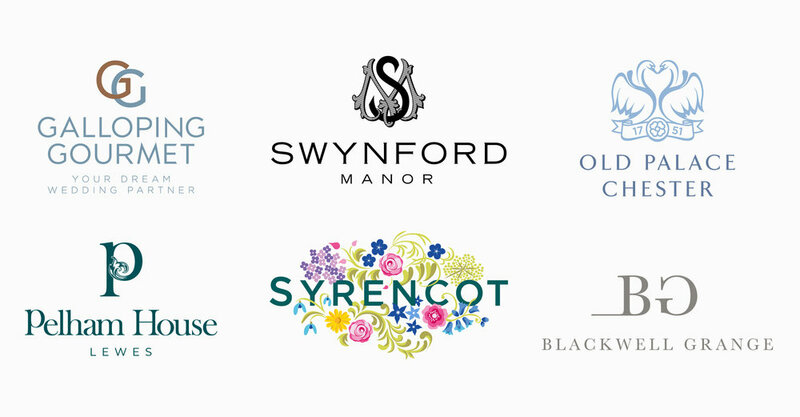 We’ve undertaken branding commissions for the venues Blackwell Grange in Warwickshire, Old Palace Chester and Swynford Manor in Cambridgeshire, and rebranded the specialist wedding planners, managers and caterers Galloping Gourmet. Presently we’re working on interior design and branding projects for three other projects in the UK. In my capacity as Planning Director I’ve been involved in all of the projects, focussing on brand definition, expression, naming, implementation and management. The experiences have taught me a lot about the powerful role emotion plays in branding. True, weddings are a world where heightened emotions are a particularly conspicuous ingredient. Few purchases have as long a gestation period as weddings and provide as many opportunities for emotional engagement. Not many other purchases start as childhood dreams and only mature many years later in adult life. The ‘bottom drawer’ may be a declining convention but wedding dreams are still formed in young minds where they grow in significance and anticipation. Moreover, not many purchases take so long to come to fruition, unless of course you’re buying a Morgan car! From choosing the date and venue to the day itself usually takes many months. Few purchases are also so weighted in expectation, multi-dimensionality and expense. According to The Bridebook National Wedding Survey the average wedding now costs £30,355 when everything is taken into consideration: venue, catering and drinks, photography/video, flowers, cake, entertainment, dress, shoes and headdress, stationery, attendants’, mother of the bride and groom’s outfits, rings and honeymoon (or mini-moon). The list is seemingly endless. The element of expectation has a powerful effect on couple’s responses to almost every aspect of their wedding. Having interviewed a number of rmarried couples, as part of the brand development project Sedley Place undertook for Galloping Gourmet, we came to appreciate just how much emotion was involved and how visceral some responses to aspects like the venue itself can be. This knowledge played into how we developed Galloping Gourmet’s brand cornerstones and personality. It also played into how we subsequently defined the cornerstones of brands like Old Palace Chester, Pelham House and Syrencot, relating them to how they would make prospective couple’s feel immediately, in the long run up to the day itself, and on the day. Getting married can be a time of great excitement but also of great stress, as years of anticipation and months of expectation come to a head. Many brands talk about their staff as Brand Ambassadors, the living embodiment of a brand and one of its most significant touch-points. Yet, sadly, many brands talk the talk but don't walk the walk. However, our interviews for Galloping Gourmet identified numerous instances where a particular venue manager transcended the normal supplier-purchaser relationship to become a friend and trusted partner. These individuals display great empathy, understanding and patience. Responding to a 100 plus emails is often the norm; as is being a shoulder to cry on when the stress gets too much. The irony is that wedding purchases are essentially one-offs. Few second-time wedders would be tactless enough to suggest marrying their new partner at the same venue as their first. Seen in this context, the cited venue managers’ commitment and empathy is exemplary. They admirably demonstrate the wisdom of any brand in identifying the brand touch-points that deliver the most emotional engagement - where consumers’ hearts respond as well as their heads - and investing in them heavily. In the case of the different wedding venues and Galloping Gourmet we’ve learned that these brand touch-points encompass a rich assemblage of tangibles and intangibles, which engage all of the senses (sight, hearing, taste, smell and touch) and many of the emotions which appear on Plutchik’s Wheel of Emotions (joy, anticipation, surprise and apprehension, to name a few).